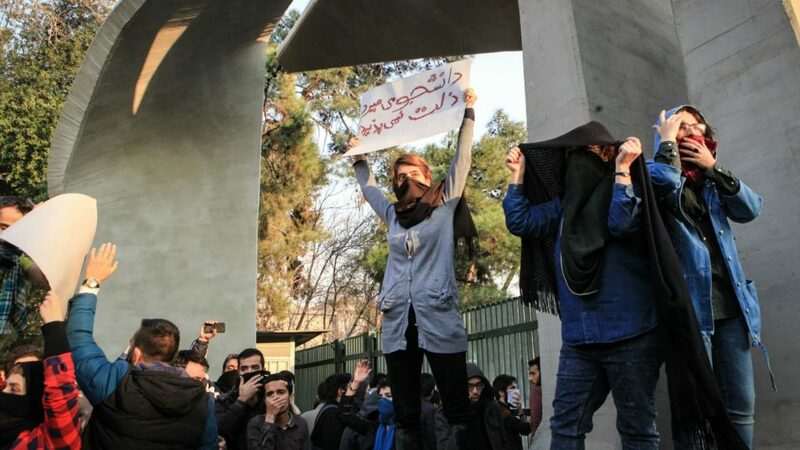 The Iranian regime has handed out heavy sentences to protestors in recent weeks according to reports from the People’s Mujahedin Organisation of Iran (MEK) and the National Council of Resistance of Iran (NCRI). On Wednesday, October 17th, 2018, the ISNA News Agency reported the sentencing of six MEK supporters. They stood accused of burning images of the Iranian regime Supreme Leader Khamenei and writing the slogan “death to Khamenei- hail to Rajavi” (Rajavi refers to Maryam Rajavi, the leader of the MEK and President-elect of the NCRI). The six men were arrested in June and received sentences of between 8 and 18 years behind bars. Those that escaped without prison time were exiled. The sentencing on Wednesday was part of a wider trend of harsh sentences handed out to protestors doing nothing more than exercising their right to protest. It speaks for itself, how scared the regime is from #MEK supporters, Iran's main opposition. It also shows how intolerant the dictatorship in Iran is. In Arak, six men faced charges of “disrupting public order and peace” for their involvement in the December and January uprising. The regime awarded them a total of six years in prison and 444 lashes. These cases are not isolated incidents. The regime arrested more than 8,000 protestors across Iran’s towns and cities. Of these 8,000, more than 14 have died in police custody, where they subjected to torture and maltreatment. 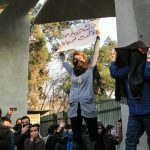 The regime uses the arrests and deaths to strike fear and intimidation across the Iranian population. It hopes to deter future protestors from taking to the streets out of fear for their liberty and their lives. But clashes continue to occur in Iran’s streets, institutions, industries and prisons. The nation’s truck drivers have defied the regime and, at great personal risk, have sustained a nationwide strike for 18 consecutive days. In Urmia Central Prison, the prisoners of ward 12 went on hunger strike. It prompted the guards to carry out a brutal raid where the political prisoners were severely beaten, including eight young offenders. Reports indicate that the guards used batons, electric cattle prods and tear gas to beat the inmates into submission. At least one inmate suffered a broken nose. The inmates of ward 12 have been subject to several brutal and violent attacks in recent months. On October 8th, Morteza Zohr-Ali was beaten by guards so badly, he suffered a fractured hand. On September 23rd, Javad Shirazi, a young offender imprisoned in the youth ward of the prison was hospitalized after suffering from a severe concussion. These instances are part of a wider strategy of employing violence and fear to maintain the political status quo. The mullahs will not show weakness out of fear of losing their grip on power. But what they don’t realize is that in resorting to brutal and violent punishments against their own people, they are showing the world that they are weak, their future is uncertain, and they are doing anything they can to cling to power.